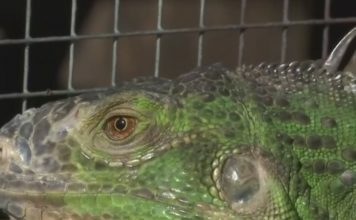 Researchers are taking a controversial approach as they try to rid Florida of invasive iguanas overtaking residents’ yards by bashing in their brains. A team from the University of Florida is using a captive bolt gun that sends a bolt into the brain, similar to what’s used in the livestock industry. They’re also smashing the creatures’ heads against solid objects to cause blunt force trauma. They’ve killed 249 so far. UF wildlife biologist Jenny Ketterlin told the Sun Sentinel it’s the most humane way to kill them. Their work is part of a research project contracted by the Florida Fish and Wildlife Conservation Commission. 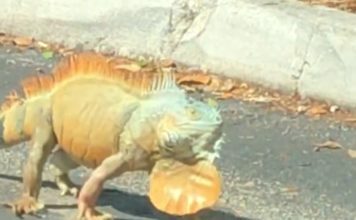 Officials say iguanas are an invasive species that feed on native plants and wildlife. Veterinarian Dr. Susan Kelleher says the head-bashing method is cruel. She suggests sedating and then euthanizing them.